As you all know: I have a sweet spot for hyped up products. Today’s skincare post is no exception. 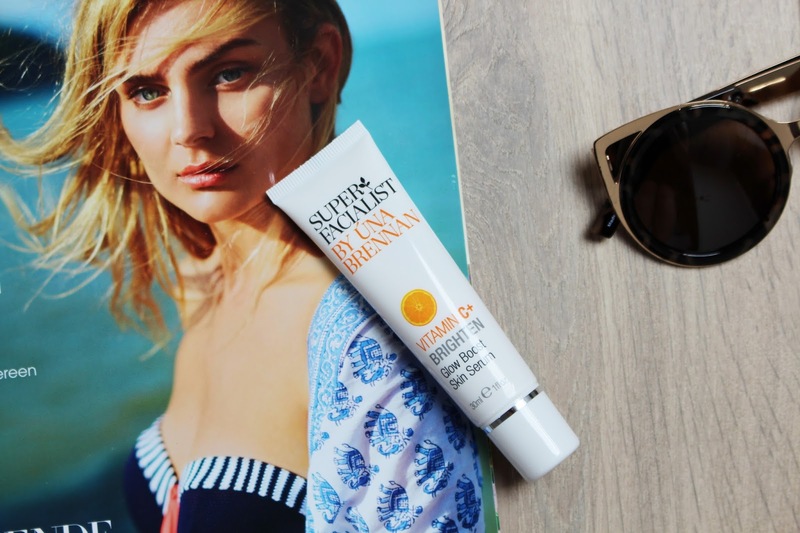 Because after hearing so many good things about the Una Brennan Super Facialist Vitamine C range, I really wanted to try a few products myself. The Glow Boost Skin Serum is supposed to give you a healthy glow and smoother, retexturized skin. The combination of vitamin C, hyaluronic acid and algae extract will boost the collagen in the skin and make it more radiant, smoother and youthful looking. Basically everything you want in a skincare product right? Now let's put it to the test! The scent is very orangey and I kind of like it. Normally I am not about heavy scented products, but this reminds me of something I used to have when I was younger. The formula itself is really thin and you only need a small amount for the entire face. It applies really nicely and I think the product by itself is amazing. I just don't think my skin likes it very much. I am supposed to get glowy, healthy skin and it's kind of the opposite. I am afraid that I get an allergic reaction if I use it longer than a couple of days, so I haven't used it for long periods of time. Every time I use it the texture of my skin becomes really weird and it feels like an allergic reaction will pop up in no time. I also feel like I get more break-outs than usual which I think is because of this product. I really wanted to love this product and the range in general as well. I love glowy skin and I really hoped this was going to be the product for me. I guess the hunt isn't over yet, but I am sure I will find something that I love very soon! Have you tried anything from the Una Brennan Super Facialist range before?